1. I often find books written by English authors in the 1800s to have more intricate and rambling prose than I prefer. At times, The Woman in White fits this mold and at other times I find the prose delightfully simple. Oddly enough, I sometimes find myself thinking in the language of the day. Either way, Collins has certainly stirred my curiosity with the mystery and suspense that is developing in the novel. What is the story behind Anne Catherick? 2. 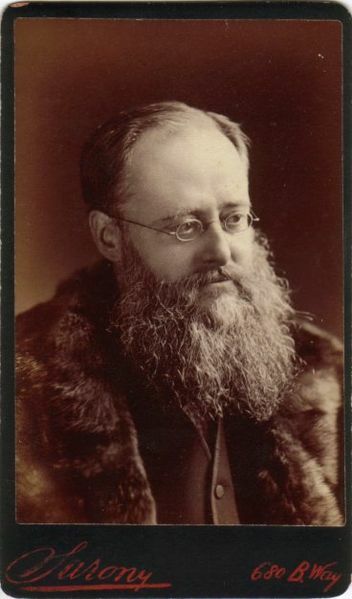 I have read that Charles Dickens was a friend and mentor of Wilkie Collins. I have not yet read any Dickens, but am wondering how their writing compares and who I will prefer. Somehow my money is on Collins, although he is the lesser known. 4. I find myself feeling so outraged as to the state of women’s rights during this time. Who should we blame for Laura having been compelled to still marry Sir Percival? After all, he did give her the option of ending the engagement. Is it her own fault, her dead father’s, that of Marian’s for sending Walter, her true love, away, or society’s at large? Marian certainly blames herself; an idea I also find disconcerting: “Between those two young hearts I had stood, to sunder them forever, the one from the other-and his life and her life lay wasted before me, alike, in witness of the deed.” I, obviously, lay the blame with society. 5. What is the deal with Count Fosco? Is it possible that he is the one who actually enticed Sir Percival to marry Laura as a means to recover his wife’s Fairlie inheritance? I love the questions you bring up. I read this in May of last year and my thoughts were similar. I'm excited to hear your thoughts when you finish. I loved this book. I thought the first half was a little more rambling than the second half. Good luck! 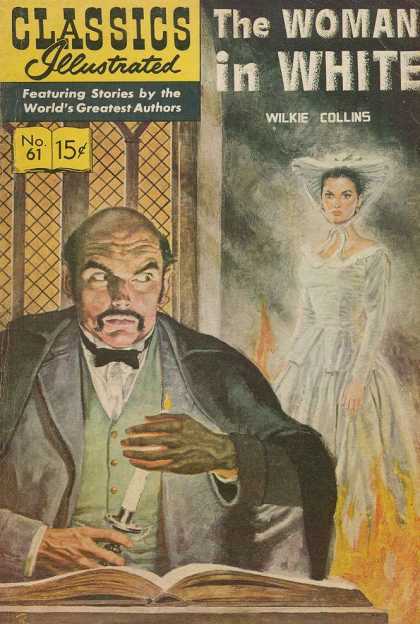 I've read some Dickens, and I can say I prefer Collins. His stories are more interesting. I totally agree about the state of women's rights, AND Mr. Fairlie. I loved when Marian slammed that door and I hope he was quite shaken by it! Also, as I've said in my post and others, Count Fosco is SUPER creepy. I find that Collins' writing is FAR different from Dickens. I don't care much for Dickens, but I am loving this novel so far! While some sections seem a little too long (the beginning was really slow for me), I think it is beautifully written. Ha! I love that scene with Marian and Mr. Fairlie. It made me laugh out loud so I had to explain to to the husband. I haven't figured out Fosco, but since I ended when he writes an entry in Marian's diary, I have to think he's up to no good. I too find the beginning a little rambling. But I really like the story so far. You really get a good look and distinct look at the characters character. I really can't wait to find out what Anne is really like, and what the "secret" is. Onto reading the rest. definitely some interesting questions, I am really curious what exactly is up with the count! he has me a little confused, and I find it hard to believe that the countess has really "given up" so much like Collins wants you to believe... should be interesting! I detest Laura's uncle, he is so self-centered... and yet it's believable that someone like him could exist in those times. As for Laura, she frustrates me in her blandness, but I truly adore Marian and I find Count Fosco almost as intriguing as Marian does. And I hope Anne has some good dirt on Glyde- like he was born with a tail or something that would get him burned at the stake... or at least shunned from all good society. You have a wonderful site here that was a quality read for me. Good info! Thanks! In Celebration of Martin Luther King Jr.
Should I Read Jane Eyre?